Margaret Reynolds, activist, educator and author, was born Margaret Lyne, in Hobart on 19 July 1941, the only child of Walter Rodis (Rod) Lyne and his wife Jess, née Montgomery, a teacher. Rod Lyne, who worked on his father's farm before serving with the Australian Army in New Guinea, died in 1947. During the war Jess took Margaret to Launceston to live near her maternal grandparents. When Margaret was three years old, Jess returned to teaching, taking Margaret to school with her. Margaret was cared for after school by her grandmother, also a teacher. From her mother and grandmother, Margaret learnt that 'girls can do anything'. After attending Trevallyn Primary School, Margaret won admission to the selective Launceston High School where she excelled in the humanities. She matriculated in 1957 and then undertook a two-year teacher training course at the University of Tasmania in Hobart. A fateful university experience was her friendship with Henry Reynolds, a slightly older student destined to become the preeminent historian of race relations in Australia. In 1960 Margaret began teaching at the Natone Area School in Tasmania's north-west. An in-service course in special education in Launceston led to appointments to special schools at Launceston, Devonport and in the Derwent Valley. She acquired a personal mission, embarking 'on a course of trying to change the way we respond to those who are different'. Margaret married Henry Reynolds on 20 December 1963 in Launceston's St Mary's Anglican Church. Within days they sailed for Europe, arriving in London in February 1964. Both eventually acquired teaching posts in the East End. Their first child was born in the winter of 1964. Then Henry accepted an unexpected offer of a lectureship in history at the Townsville University College, later James Cook University, Queensland. The Reynolds returned to Australia in mid-1965. At the beginning of 1966 Margaret Reynolds resumed her teaching career with a parttime position at a Townsville special school, Cootharinga, where she developed a program for children with multiple disabilities and had her first experience of teaching Aboriginal children. Reynolds wrote that the 'most confronting aspect of life in North Queensland' was its pervasive racism. In conjunction with Henry, she responded with drive and vision, contributing in no small way to Townsville becoming an innovative centre for Australian race relations. In 1966 she joined the One People of Australia League (OPAL). At her first meeting she became secretary of the local branch, and befriended Roberta (Bobbi) Sykes, the future activist and writer. Notably, Reynolds established an OPAL kindergarten, the first preschool for Aboriginal and Islander children in Queensland, which opened in January 1967. The kindergarten was bolstered by her capacity to forge friendships across racial lines. The Reynolds' social circle included Torres Strait Islanders Eddie (Koiki) and Bonita Mabo who led Indigenous parents in entrusting their children to the kindergarten. Later in 1967 OPAL's conservative state leadership expelled Reynolds and Sykes for their radicalism but failed in an attempt to seize control of the preschool, which thrived and was renamed Kindergarten Headstart. Reynolds resigned from Cootharinga at the end of 1966, as she was expecting her second child. She returned to full-time teaching at Townsville's Aitkenvale State School in 1969, having sought an appointment to a school with a significant number of Indigenous children. Lecturers at the newly established Townsville Teachers' College (Townsville College of Advanced Education (TCAE) from 1972) recruited Reynolds to demonstrate her innovative teaching methods. After completing a Diploma in Special Education at James Cook University in 1977, she was appointed a tutor in language and literature at TCAE, where she taught the first intake of mature Indigenous students. Reynolds also completed a Bachelor of Arts with a double major in government at the University of Queensland, awarded in 1982. In 1966, inspired by hearing Arthur Calwell, federal Leader of the Opposition, speak against the Vietnam War and conscription, Reynolds established a branch of the anti-conscription organisation, Save Our Sons, and became active in the Townsville Peace Committee. She was also an early feminist in Townsville. Reynolds' feminism was largely a reaction to the 'the unequal power relationship between women and men in both the private and public domain'. Henry encouraged Margaret's activism and shared housework and childcare. She helped found the Townsville branch of the Women's Electoral Lobby (WEL) and acted as its publicity officer. Reynolds, who joined the Australian Labor Party in 1971, relished Gough Whitlam's victory in the 1972 federal election and applauded his policies for women. Shortly after her third child was born in February 1973, Reynolds returned to full-time teaching. She brushed aside criticism from some colleagues for placing her baby in care, having concluded 'that child care was part of feminist advocacy and even the prime minister was listening'. The dismissal of the Whitlam Labor Government on 11 November 1975 was one of the biggest disappointments of Reynolds' political life. After an unsuccessful attempt to win preselection for a state Labor seat in 1976, Reynolds was elected to the Townsville City Council in 1979. Her four years as a Labor alderman coincided with the renovation of Queensland Labor. An 'old guard' of mainly hard-drinking male union officials was displaced by a more inclusive and middle class 'new guard', led by historian Denis Murphy and future premier Peter Beattie. Reynolds took advantage of new opportunities for women and for party members without a trade union background. She directed local municipal and federal election campaigns, served on Labor's state council (1981–83) and acted as an adviser to the leader of the Queensland parliamentary Labor Party. In 1982 the Queensland ALP appointed Reynolds part-time organiser in North Queensland. During the campaign for the 1983 double dissolution federal election, Townsville-based Labor senator, Jim Keeffe, unexpectedly resigned and pushed for Reynolds to be his successor. To forestall factional warfare, the ALP's National Executive had assumed the task of preselecting all Senate candidates, and Reynolds was given a secure position on Labor's Queensland Senate team. Reynolds' campaign, with its slogan 'North Queensland—A Special Place', traded on Northern (and Central) Queenslanders' historical sense of grievance directed at Brisbane and Canberra. The 5 March election, which saw the Fraser Government decisively defeated by Labor under its new leader, Bob Hawke, showed the wisdom of Reynolds' strategy and her electoral appeal. Though numbered four on the Labor ticket, on the first count she easily outpolled the third-placed candidate and sitting senator, Gerry Jones. Margaret Reynolds had become the Queensland ALP's first woman senator. In her first Senate speech on 4 May 1983, Reynolds listed the triple loyalties which would guide her in the chamber. These were her commitments to the ALP, to women, and to Queensland, especially its non-metropolitan regions. She professed her core value of equality and singled out three dimensions of inequality: the inferior services, resources and opportunities available to people in rural and regional Australia compared to those in metropolitan centres; the disproportionate exclusion of women from decision-making positions; and the plight of Aborigines and Islanders, whose subordination was compounded by race, class and isolation. For improvement in the status of Australian women, she looked particularly to international organisations and norms, welcoming Labor's intention to ratify the United Nations Convention on the Elimination of all Forms of Discrimination against Women (CEDAW). The plight of Indigenous Australians, she maintained, could be remedied by land rights and self-determination, with the former a prerequisite for the latter. As a progressive on race and gender issues, only loosely embedded in the faction system, Reynolds was regarded with hostility by the conservative Australian Workers' Union (AWU), a dominant force in the Queensland ALP since the 1920s. In 1984 she faced relegation to an unwinnable position on the ALP's Senate ticket in favour of the AWU's candidate, John Black. However, Reynolds was backed by senior figures in the federal parliamentary party, including Prime Minister Hawke and Senator John Button. The National Executive placed her at the top of Labor's Queensland Senate ticket for the December 1984 election, a position she would retain for the rest of her parliamentary career. Reynolds served as Parliamentary Secretary for Local Government between July and September 1987, and as Minister for Local Government from September 1987 to April 1990. One of her earliest portfolio decisions symbolised her regional loyalties and bias towards decentralisation; it also horrified several Canberra public servants. She set up a ministerial office in Townsville and moved her electorate office to Mt Isa, in Queensland's far north-west. During her relatively short ministerial tenure, Reynolds enthusiastically led the government's campaign for a 'Yes' vote in the September 1988 referendum on the constitutional recognition of local government, but had difficulty in spelling out what recognition would mean in practice. The proposal was decisively rejected. This major disappointment was balanced by her success in making the distribution of federal funds to local governments fairer, and available to Indigenous councils for the first time. Reynolds was also Minister Assisting the Prime Minister for the Status of Women from January 1988 to April 1990. Her first ministerial achievement was to win Cabinet approval for the reform priorities set out in the National Agenda for Women (1985). There was resistance to the agenda from some Labor ministers who dismissed it as indulgent middle class feminism. The Opposition's criticism was unrelenting. Liberal Party Senator Robert Hill (SA) condemned the plethora of surveys, conferences, grants and pamphlets as a 'continual propaganda exercise'. A perceived decline in support for the government among women prompted the Brisbane Courier-Mail in 1989 to report mutterings among 'Labor strategists' that 'Senator Reynolds' performance ... had been disappointing'. In her own estimate, Reynolds' greatest victory was defensive and temporary. In 1988, at a time of fiscal austerity, she was able to 'hold the line' on funding for community-based child care, a result which was reversed after the election of the Howard Government in 1996. Reynolds was not included in the fourth Hawke Ministry announced in April 1990. The Left was entitled to one woman in the ministry and Margaret, recuperating from a car accident, voluntarily made way for her friend and factional colleague, Wendy Fatin. A ministerial colleague, Neal Blewett, mused that 'Reynolds had many talents, but her brief period as Minister for Local Government suggested that executive office was not her forte'. Reynolds did not regard a return to the backbench as a setback. Ministerial responsibility had curbed her penchant for activism and advocacy. Exiting the ministry after three years, Margaret Reynolds reclaimed her politically-assertive self. Departure from the ministry allowed Reynolds to step up her participation in Indigenous affairs. Throughout the 1990s she used the Senate as a stage to urge radical change in the way Australians and their governments treated Aboriginal and Islander people. Presciently, she anticipated the High Court's ruling in the Mabo case and had it incorporated in Hansard, paying tribute to her late friend Eddie Mabo and his posthumous victory. Reynolds served two terms as the government's representative on the Council for Aboriginal Reconciliation (1991–96). She regarded the passing of the Native Title Act 1993 as crucial because of the centrality of Indigenous dispossession in Australian history and later wrote that the 'passage of that landmark legislation was one of the most significant occasions in my parliamentary career'. Reynolds was not one to respond gently to the emergence of Pauline Hanson and her One Nation Party in Queensland in 1996. After Hanson won the federal seat of Oxley as an Independent in 1996, she was reported as saying that she would be fighting 'for the white community' and 'anyone apart from Aboriginals and Torres Strait Islanders'. Reynolds led the Senate in repudiating Hanson's sentiments. She mustered bipartisan support for a motion, agreed to on 9 May 1996, reminding parliamentarians 'that they are elected to represent all of their constituents' and calling on them to consider the development of a parliamentary code of race ethics, a draft of which she presented. The code was later refined and circulated, and signed by ninety parliamentarians on Human Rights Day in 1996. Reynolds also set about organising 'Australians for Reconciliation' groups throughout the country. Reynolds was sometimes a discomforting force within the Labor Party. She opposed the Gulf War in 1991 and, together with John Coates and Bruce Childs abstained from the Senate vote endorsing Bob Hawke's decision to commit Australian forces to the conflict. All were reprimanded by Labor's National Executive. Reynolds confronted the ALP with its history of male chauvinism and discrimination against women. She pushed relentlessly for increased participation of women in Parliament where, at the federal level in 1993, women constituted less than fifteen per cent of parliamentarians. As a member of the Caucus Status of Women Committee, she was one of the architects of the motion adopted at the ALP's National Conference in Hobart in 1994, requiring that women comprise thirty-five per cent of candidates preselected for winnable seats at state and federal elections by 2002. Reynolds called for additional reforms, including the provision of child care at Parliament House, and the reorganisation of parliamentary schedules and sitting times to better accommodate women's needs. Reynolds' appeal derived, at least in part, from her attentiveness to constituents all over the state, including those who did not share her politics. Her Townsville office became 'a place of last resort' for individuals and groups seeking assistance with sometimes complex problems: most frequently, marital failures, tax issues and immigration questions. According to fellow Labor Senator Rosemary Crowley, Reynolds 'established and maintained an extraordinary network of parliamentary, political and community colleagues'. Throughout her Senate career she took pride in 'travelling the length and breadth of Queensland' and persuading people that a 'left wing feminist could also be involved in grass roots policy change'. Either side of her ministerial tenure, Reynolds was a dedicated member of numerous parliamentary committees, chairing the Committee of Privileges (1993–96), the select committees on community standards relevant to the supply of services utilising telecommunications and electronic technologies (1991–93 and 1993–96 respectively), and Estimates Committee D (1985, 1986–87), F (1987) and C (1993–94). Reynolds invested enormous effort into her committee work. In 1999 Meg Lees attributed Reynolds' effectiveness to 'her dedication, her level of preparation for committee hearings, her determination to get to the bottom of issues and her very astute questioning, particularly of departments on regular occasions'. Reynolds also served as a temporary chairman of committees from 1995 to 1999. During the 1990s Reynolds used her skills to good effect within a wide range of international organisations, as an advocate for human rights, specialising in gender and Indigenous rights. After retiring from the Senate in June 1999, Reynolds took up adjunct professorial appointments in government at the universities of Queensland and Tasmania, chaired the Commonwealth Human Rights International Advisory Commission (1999–2005), was president of the United Nations Association of Australia (2000–2005) and from 2004 to 2012 served as state manager, National Disability Services Tasmania. Always interested in citizenship education, she organised youth parliaments in Queensland and Tasmania. Henry Reynolds' autobiographical Why Weren't We Told? (1999) makes clear that the careers of Margaret and Henry, politician and historian, were intimately intertwined and mutually reinforcing. 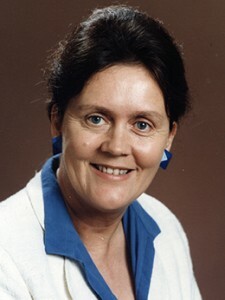 Margaret Reynolds' own writings, particularly her books, The Last Bastion (1995) and Living Politics (2007), are a substantial contribution to the history of women in Australian politics and also to North Queensland history. In the valedictories for Reynolds, senators from all parties made particular mention of her gentleness and civility. These qualities were not incompatible with a capacity to disturb. In 2007 an Indigenous correspondent to the Townsville Daily Bulletin wrote that Reynolds 'speaks the truth and always brings controversy'. This echoes the comment by Senator Rosemary Crowley, that Reynolds filled the sometimes uncomfortable role of Caucus conscience. She also possessed the capacity to engage those from outside her political faith. Senator Robert Hill (Lib., SA) had the task of shadowing Reynolds when she was Minister Assisting the Prime Minister on the Status of Women. He acknowledged Reynolds' superiority in their contest and complimented her on the way that she used her advantage: 'She had the opportunity to humiliate me but she chose not to. Instead she chose to educate me'. The author thanks Todd Barr and Lyndon Megarrity for helpful suggestions on early drafts. This entry draws throughout on papers held by the NLA at MS 9579 (access restricted), tapes of an interview with Margaret Reynolds by Diana Giese, 1 Sept. 1999, NLA, and Margaret Reynolds, Living Politics, UQP, St Lucia, Qld, 2007. Email to the author from Margaret Reynolds, 21 July 2009; Henry Reynolds, Why Weren't We Told? A Personal Search for the Truth About Our History, Viking, Ringwood, Vic., 1999, pp. 23–4; Margaret Reynolds, 'My Advice' in Saxby Pridmore & Mary McGrath (eds) My Advice, AGPS, Canberra, 1990, pp. 68–71. Henry Reynolds, Why Weren't We Told?, pp. 53, 62–71, 75–6, 187–8; CPD, 9 Oct. 1991, p. 1633; Margaret Reynolds, 'Changing Feminisms—a personal view', Hecate, Vol. 30, No. 1, 2004, pp. 206–11; Reynolds, 'My Advice', p. 67; Jenny Batchler, 'Playing politics with gender and geography', Portfolio, Nov. 1987, p. 9. Labor Review, Jan. 1982, p. 7; ALP, 'Queensland Senate Team', 1987; AJPH, Vol. 29, No. 3, 1983, p. 506; Townsville Daily Bulletin, 1 Sept. 1982, p. 3, 8 Feb. 1983, p. 1, 24 Feb. 1983, p. 13, 25 Feb. 1983, p. 5, 26 Feb. 1983, p. 6. CPD, 4 May 1983, pp. 182–4; National Times (Syd. ), 30 Dec. 1983–5 Jan. 1984, p. 11; Sunday Mail (Brisb. ), 4 March 1984, p. 15; Courier-Mail (Brisb. ), 5 April 1984, p. 1, 7 April 1984, p. 2; Townsville Daily Bulletin, 4 May 1984, p. 4; CPD, 24 June 1999, pp. 6430–1. Bob Hawke, The Hawke Memoirs, William Heinemann, Port Melb., Vic, 1994, p. 419; CPD, 24 Nov. 1987, p. 2286, 8 Dec. 1987, pp. 2652–3, 25 Aug. 1988, pp. 351–4; Townsville Daily Bulletin, 3 Sept. 1988, p. 4; Sheryl Bagwell, 'Townsville, Canberra and the double standard', Australian Society, Aug. 1988; Margaret Reynolds, The Last Bastion, Business & Professional Publishing, Syd., 1995, pp. 88–99; CPD, 6 March 1989, pp. 459–60, 463–4; Courier-Mail (Brisb. ), 21 March 1989, p. 2; email of 21 July 2009. Neal Blewett, A Cabinet Diary: A Personal Record of the First Keating Government, Wakefield Press, Kent Town, SA, 1999, p. 54; Bagwell, 'Townsville, Canberra and the double standard', Aug. 1988, p. 34; CPD, 16 Aug. 1991, pp. 552–6, 3 June 1992, pp. 3457–9. Australian (Syd. ), 4 March 1996, p. 10; CPD, 9 May 1996, pp. 605–9, 617–18, 9 Oct. 1996, pp. 3837–9; Courier-Mail (Brisb. ), 6 April 1996, p. 9; Senate, Journals, 22/23 Jan. 1991, p. 707; CPD, 22 Jan. 1991, pp. 199–202; Courier-Mail (Brisb. ), 28 Aug. 1993, p. 11, 26 July 1995, p. 2; Margaret Reynolds, 'The Last Say', Wiser, No. 2, 1995, pp. 29–30; Margaret Reynolds, 'Women, pre-selection and merit: who decides? ', Papers on Parliament, No. 27, March 1996, pp. 31–47; CPD, 22 Sept. 1994, pp. 1238–9; Margaret Reynolds, 'Towards a republic and women's equal participation in Parliament', Journal of Australian Studies, No. 47, 1996, pp. 92–4; Reynolds, The Last Bastion, pp. 173–4. CPD, 24 June 1999, pp. 6390–442; email of 21 July 2009; Courier-Mail (Brisb. ), 29 July 1999, p. 13; Townsville Daily Bulletin, 12 Nov. 2007, p. 13; Linda Hancock, 'Margaret Reynolds: Community activism for universal values', in G. Stokes et al. (eds), Global Citizens: Australian Activists for Change, CUP, Port Melb., Vic., 2008, pp. 140–58; Margaret Reynolds, 'Is there life after Parliament? Reflections of a former senator', Papers on Parliament, No. 51, Aug. 2009, pp. 61–9. This biography was first published in The Biographical Dictionary of the Australian Senate, Vol. 4, 1983-2002, Department of the Senate, Canberra, 2017, pp. 204-209.